In recent years, people have begun to care more and more about the food they eat. Some people are switching to vegetarian or vegan diets, others are eating only organic foods, and others still have taken up growing their own food. And while reasons may vary from person to person, an awareness of food and its safety is definitely growing. If you’re the type of person who doesn’t give much thought to the food you eat, keep reading to find out why that should change. E. coli, salmonella, norovirus…the list of bacteria that can be transmitted via contaminated food and water is endless. What’s more, these and other types of bacteria are often found on food from “trusted” sources. Blue Bell ice cream, for example, is in the midst of coming back from a listeria outbreak that left three people dead and several others hospitalized. In short, it’s a sad fact that something as innocuous as ice cream can be a danger to you and your family. Know the signs of food poisoning. Some types of bacteria cause mild food poisoning; others, though rarer, can be deadly. Fever, stomach cramps, nausea, vomiting, diarrhea, and headache are common symptoms, and, in most cases, last only a short time. If symptoms persist for more than two or three days, medical treatment should be sought immediately. Also, know that if you or someone you love falls victim to food poisoning through the fault of another, food poisoning lawyers can help determine if you’re entitled to compensation for your pain and suffering, medical bills, lost wages and other factors. Wash your hands. Always, always, always wash your hands before you eat, after you handle raw meat, and after going to the bathroom. And remember to use hot water and antibacterial soap. Cook thoroughly. Under-cooked food is a common source of harmful bacteria. Be sure to cook your food thoroughly so that harmful bacteria is destroyed. This is true for vegetables as well as meat. Refrigerate. Bacteria thrives in warm temperatures. Be sure to refrigerate your food, and keep your fridge set to 41 degrees Fahrenheit or below. Watch out for cross-contamination. When cooking and storing food, avoid cross-contamination by separating raw and cooked foods. Use caution in restaurants. 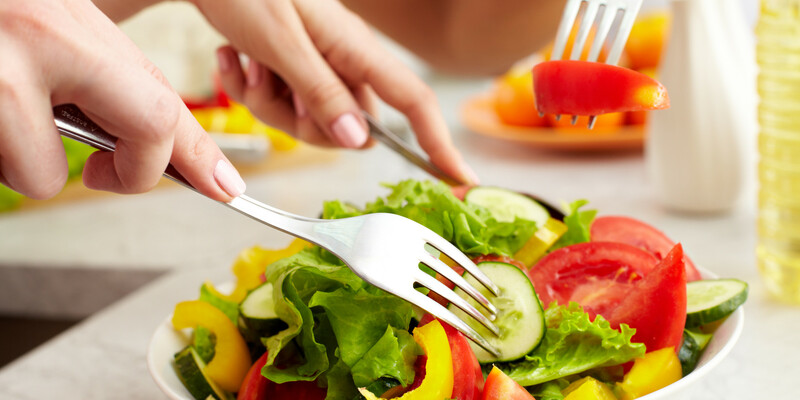 To avoid food poisoning when dining out, never order rare meat, avoid shellfish, frequent clean, well-known establishments, and use extreme caution at salad bars and buffets. You’re not the only one affected by the food you eat. For example, did you know that certain foods help reduce your carbon footprint? It’s true! Eating locally means that fewer fossil fuels were used to get your food to your table. Less fuel means fewer emissions, and fewer emissions equal a smaller carbon footprint. Plus, choosing meat and produce from local farmers and suppliers can help boost your local economy, as well as strengthen community bonds and friendships. We all know that the food we eat directly affects our health and well-being. Therefore, informed choices about what we put into our bodies are necessary to good health and quality of life. From deadly bacteria to foods high in sodium, fat, sugar and other unhealthy ingredients, knowing more about what we eat is an absolute must. And, thankfully, through education, awareness and the tips provided here, you can make better food choices for your family and yourself. Good luck, and bon appétit!